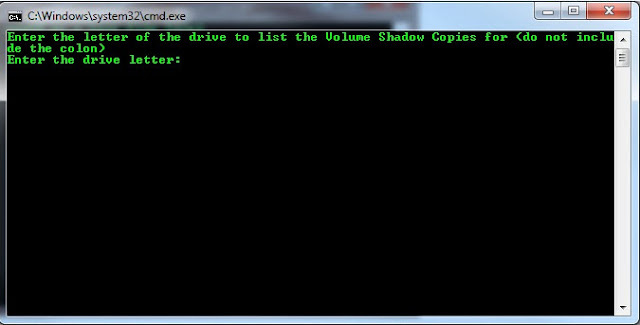 * Using the vssadmin list shadows command to list the VSCs for a specific volume. 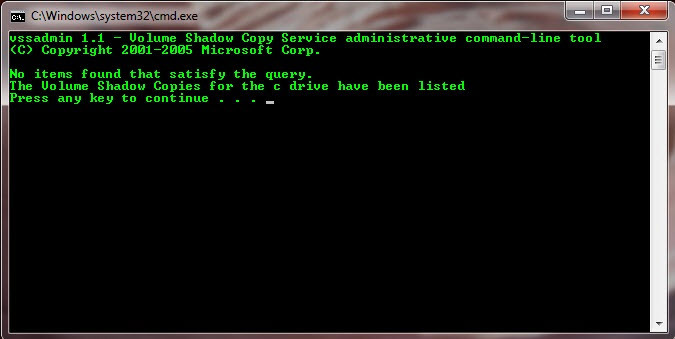 At times I'd redirect the command's output to a text file for documentation purposes. * Changing the for loop with the mklink command to reflect the VSCs I wanted hard links created for. 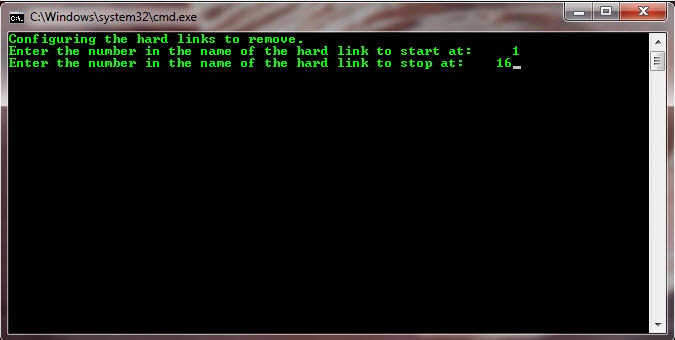 * Running the for loop with the mklink command to create the hard links. * Examining the data of interest in the VSCs. * Changing the for loop with the rd command to reflect the hard links I wanted to delete. * Running the for loop with the rd command to delete the hard links. Going through the above process worked fine. However, I wanted a faster way to access the VSCs without always having to make changes to a saved command or batch file. I'd rather just run one script that allowed me to specify what action to take and what VSCs to create links for. So I read a few articles on batch files and this is the solution I came up with to meet my need. I thought a few screenshots would help show the functionality of the script before I posted the code. REM The goto statement below makes the script process the menu function. REM The if statements below makes the script process a specific function based on the selection made. REM The line below lets you save a text file listing the VSCs injunction with the VSCs being displayed on the screen. This is helpful if the listing of VSCs has to be documented. REM The if statement below will create a text file listing the VSCs if this option was slected. 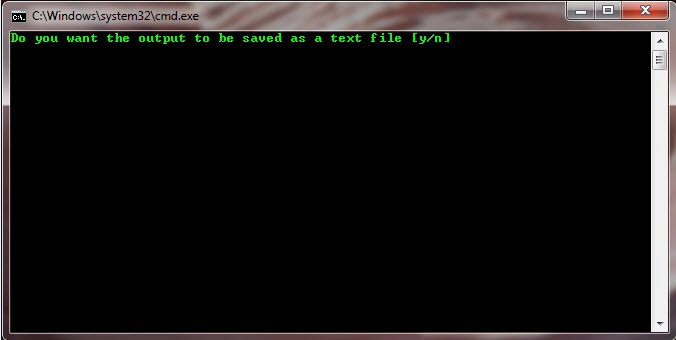 The output file is created in the same folder where the batch file is executed from. REM The next part of the script sets the variables for the start and end parameters in the for loop. 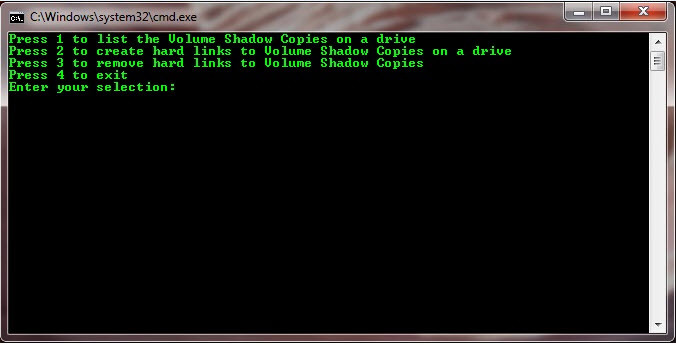 REM The vssadmin list shadows command provides the VSC numbers. 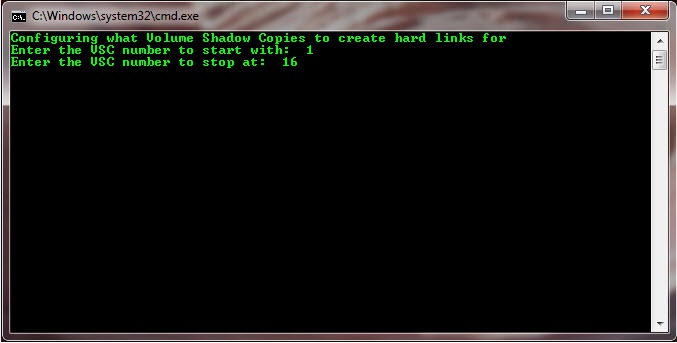 The start parameter is the first VSC to create a link to while the end parameter is the last VSC to create a link to. echo Configuring the hard links to remove. How do you use your feeds?